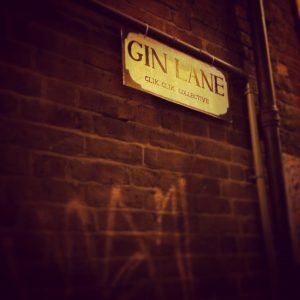 Created in 2015, Gin Lane is an immersive installation produced and directed by Clik Clik for the Worcester Victorian Fayre which take place every winter. 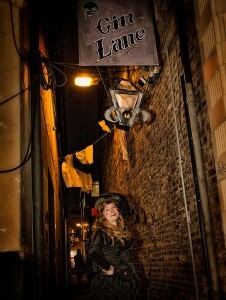 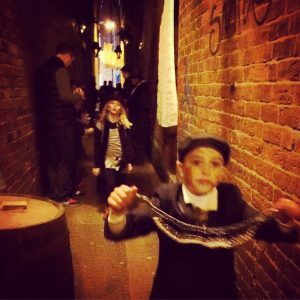 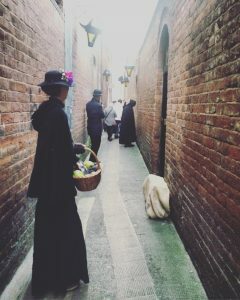 Its a step back in time, celebrating the lower classes of Victorian society in all their creativity and colour with alchemy, gambling, ladies of the night, pick pocketting, singing, urchins, circus performance and theatre all in one alley! 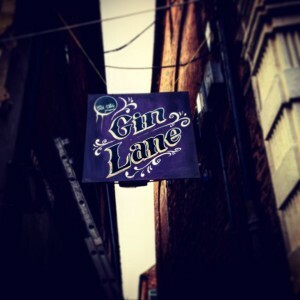 Gin Lane is an organic process, featuring not only artists and performers from Worcestershire, but encouraging those with little or no performance backgrounds to dress up and be one of the characters who bring the installation to life. 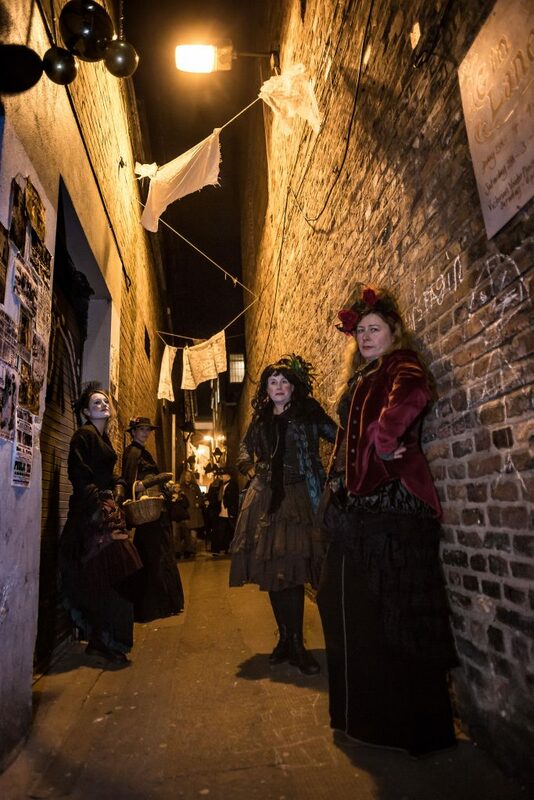 Through this process, the public can truly be part of the experience! 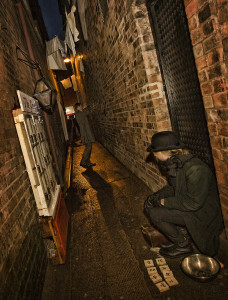 Spare Room Arts, Capas Music, Dan Bramhall, Sweetart Murals, Worcester Theatre Makers, Niki Boraston, Charley Jordan, Paul Henry Brotherton, Claire Hilton, Richard Kilcline, Jane and Clem Bradley, Amy Williams, Anna Donaldson, Vicki Williams, The Stiff Joints, Joe Norris, Holly Wyatt, Collective Unconscious, Heather Wastie, Jim Dale, Jo Bedford, Dom Satchell, Orly Phillips, Henry Bolton, Toki Allison, Katie Llewellin, Rob Nosworthy, Martine Duuk, Karey Parsons, Glyn Jones, Key Pandemon, Emma Laider, Antonia Zena, George Alan.